During most of the last one billion years the globe had no permanent ice. However, sometimes large areas of the globe were covered with vast ice sheets. 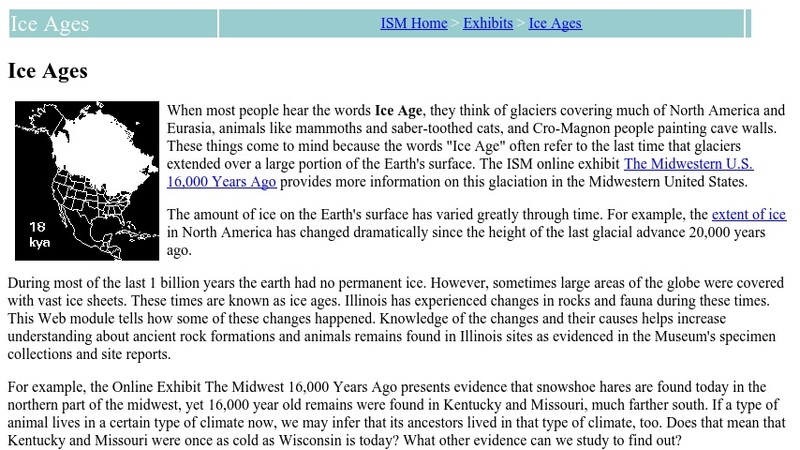 Users can read and view pictures which help explain what ice ages are, when they occurred, and why they occur. This site, sponsored by the Illinois State Museum, has links to web pages on paleontology of the midwestern United States during the last ice age and to an animation showing the advance and retreat of the ice sheet in North America 20,000 years ago.